Dr. Buttross will monitor your oral health and help you prevent any problems that may arise before they become uncomfortable or require more comprehensive treatment. At your appointment she will perform an examination of the entire mouth, which includes an oral cancer screening, gum disease evaluation, visual examination of tooth decay, examination of diagnostic x-rays, and evaluation of status of current restorations (fillings and others). Our office performs a thorough oral cancer screening at every routine cleaning appointment. Oral cancer often starts as a tiny, unnoticed white or red spot or sore anywhere in the mouth. It can affect any area of the oral cavity including the lips, gum tissue, cheek lining, tongue, and the hard or soft palate. Oral cancer most often occurs in those who use tobacco in any form. Alcohol use combined with smoking greatly increases risk of oral cancer. Prolonged sun exposure increases the risk of lip cancer. Professional cleanings (dental prophylaxis) performed by a certified dental hygienist form the foundation for preventing gum disease and tooth decay. Depending on the diagnosis, your cleaning frequency will be at 3, 4, or 6 month intervals. The foundation for natural teeth, restored teeth, and implant supported teeth is healthy gum tissue and bone. We know that 90% of all adults have gum disease of various levels. Three out of four adults over the age of 50 have bone loss which is called periodontitis. Periodontal disease is an infection of the gums, bone and ligaments that support the teeth and anchor them in the jaw. It can be localized (one tooth) or a generalized condition (many teeth). As periodontitis progresses, more bone is lost which can lead to eventual tooth loss. Recent studies indicate that periodontitis has been associated with diabetes, heart disease, and low birth weight infants. The main goal of periodontal treatment is to eliminate the disease from the gums, ligaments, and bone that surround the teeth. With early detection of gum disease, Dr. Buttross and her team can restore your oral health and help you maintain it for a lifetime. Initial treatment involves educating patients in the proper methods of effective oral hygiene. Scaling and root planing is performed to clean the tooth structure and remove bacterial plaque and calculus deposits from the gum pockets. This will allow the gum tissue to heal and reattach to the tooth. In less severe cases, this may be the only treatment required. Antibiotics or irrigation with anti-microbials (chemical agents or mouth rinses) may be recommended to help control the growth of bacteria that create toxins and cause periodontitis. It is critical that you are seen routinely for regular periodontal maintenance appointments. This periodic maintenance, along with diligent oral hygiene, will aid in managing periodontal disease and help prevent tooth loss. In fact, many patients can keep their teeth for a lifetime. Gum disease is linked with increased risk of these chronic diseases. You don’t have to lose teeth to periodontal disease. Brush, clean between your teeth, eat a balanced diet, and schedule regular dental visits for a lifetime of healthy smiles. Sealants protect the depressions and grooves of your teeth from food particles and plaque that brushing and flossing can’t reach. In some cases, the tooth structure has fine grooves or pits which accumulate plaque, not because the person doesn’t brush, but because they’re too narrow to allow even one bristle into them. Highly effective in preventing decay on the biting surfaces of your chewing teeth, sealants are a simple procedure in which a tooth-colored “coating” is painted onto the surface of the tooth. This effectively “seals” the deep grooves acting as a barrier, protecting enamel from plaque and acids. 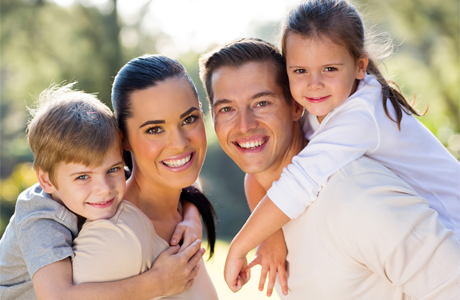 Children and adults can benefit from sealants in the fight against tooth decay. We would like to take the opportunity to introduce you to a new standard of care we provide, the CariFree System. Science shows that tooth decay and cavities are caused by a bacterial infection known as dental caries. This is driven by an acidic oral environment. The CariFree System employs pH+technology to neutralize the decay-causing acids and treat the bacterial infection. We can then make preventive recommendations, with the goal of lowering your risk of decay, and ensuring a longer life for the dental work you have already invested in and may opt for in the future. This promotes long-term dental health as an alternative to simply treating signs and symptoms by filling cavities. The CariFree System uses a simple screening device along with a swab sample of your plaque in order to measure the levels of bad bacteria on your teeth. The test is painless, takes less than one minute, and will help us to make a diagnosis as to whether you have the caries infection or not. This system is for patients of all ages and cost effective in comparison to dental treatment needed due to dental caries.